A few weeks ago I puttered over to the kitchen as usual, got my pots and pans out, and started making dinner. I was going to cook fish that evening, and I had taken an unidentified fish out of the freezer earlier in the morning to defrost. 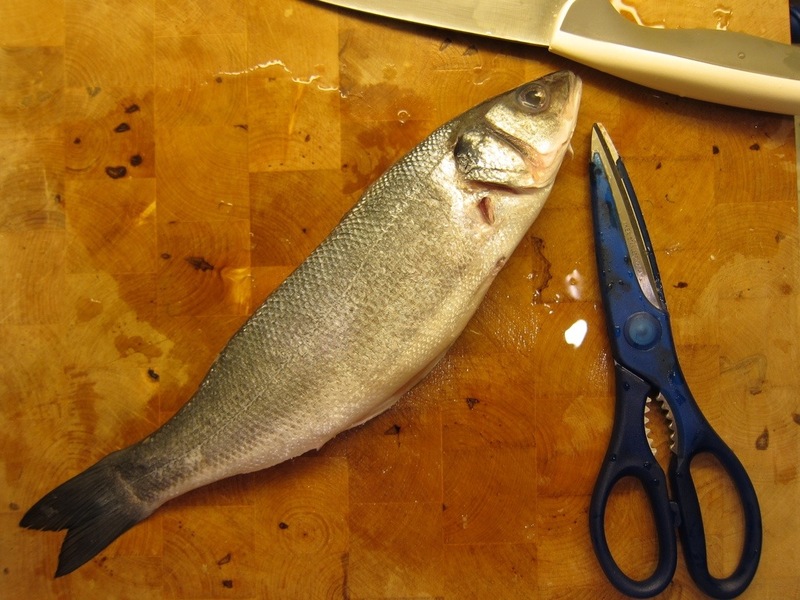 When I set the fish-with-no-name onto the chopping board, something didn’t look quite right. The fish felt a bit heavier in my hands, and a bit…. fuller. As I examined it further, my heart stopped. The fish had not been gutted. It was still whole; still intact. It’s insides were still inside. I felt my heart palpitating, and a little shriek of panic escaped my lips. I had never gutted a fish before. You see, as I was growing up, I had watched my mother clean and gut fish many, many times, but I had never actually done it myself. I never really bothered learning how to do it properly, as you could always ask the fishmonger to do it for you. So I had decided pretty early in my life that gutting a fish, along with juggling and whale training, was a skill I was more than happy to do away with. I don’t know what happened; maybe I forgot to tell the fishmonger to gut the fish. Maybe I did, but I didn’t enunciate. Whatever the reason, I had a whole, ungutted fish staring up at me from my chopping board. What was worse, I had a whole lot more ungutted fish in the freezer. Since I normally do the bulk of my grocery shopping across the border (it’s much cheaper), I normally buy enough meat and fish to last a couple of weeks or so. So I effectively had two weeks’ worth of ungutted fish waiting for me. There was no other way I could get out of my predicament. I had to pull its guts out. I took a deep breath, dug into the deepest recesses of my memory, and tried to recall how my mother went about doing it. Fish and kitchen shears in my hands, I cringed as I slit the belly. It was just too gross. After a few feeble and unsuccessful attempts at pulling the guts out of its mouth, I decided I would “take a shortcut” and just chop the head off, hoping that the guts would spill out automatically. Almost immediately, blood and what may have been fish bile came oozing out. Do fish even have bile? I don’t know. The liquid that oozed out was green. I almost cried. I eventually managed to clean and gut the fish without tearing it to pieces, while still keeping my wits about me. My subsequent attempts in the days that followed were much better, thanks to the internet and YouTube. As I gutted the last of the fish in my freezer, I started to reflect on what this episode had taught me: Even if you have to resort to mime, always get your fishmonger to gut the fish for you. This entry was posted in Blog and tagged fish gutting, kitchen tales. Bookmark the permalink. Sorry I had to laugh…haha!